Kids get bored easily, but they won't be in Hawaii. With all the sights, sounds, history, local culture, and wildlife that Hawaii offers, even the most bored or hyperactive kid would stop and be filled with wide-eyed wonder on your Hawaiian vacation. If you think you can't get your kids off the couch and drop their game consoles and log off the Internet, then just give them a taste of Hawaii. With the vivid sensory and intellectual experience that Hawaii provides, your kids will learn there's more to life than TV, games, and the Internet. And most of all, they get to have lots of fun too! To start off, keep your kids occupied by letting them explore Hawaii's art, culture, history, and unique geography hands-on at the Kauai Children's Discovery museum. Exciting activities your kids will enjoy at this museum include stargazing, creating artworks, and rock climbing. For a fun-filled water adventure, introduce the kids to the art of surfing by letting them join classes offered by professional surfers and instructors scattered throughout the island. Marvel at the amazing underwater treasures of Kauai and join a snorkeling tour at Lawai Beach. Kids will certainly enjoy hovering over the reef while butterfly fishes and puffers curiously swim around the snorkelers. Make sure to also drop by the Poipu Beach Park as this vacation destination is perfect for an afternoon of building sandcastles and exploring marine life. If you want to bond with the kids and commune with nature at the same time, join kayak tours at Wailua River that also include hiking and sightseeing as part of the vacation package. Kauai's calm rivers are especially perfect for kids who have yet to experience the art of kayaking amidst a tropical backdrop. Oahu is another island that offers plenty of activities the whole family will enjoy. If you want to pet a dolphin or sea lion, you can go to the Sea Life Park. Also get a glimpse of life underwater through their Sea Trek Adventure activity where you go 18 ft. underwater for a human-and-fish meet and greet. Before your vacation ends, head on over to the Polynesian Cultural Center to visit Polynesian villages, get exotic souvenir items, see the Rainbows of Paradise canoe pageant, experience the award-winning Ailii Luau Feast, and be enthralled with the impressive evening show with over 100 performers of Polynesian dance and arts. While in Oahu, the entire family can also hike through the Makiki trails in Honolulu. Perfect for older kids and teens, Makiki trails offer a variety of areas ideal for exploring, hiking, trekking, and sightseeing. Enjoy Molokai's laid-back atmosphere by visiting the Molokai Horse & Wagon Ride located at Highway 450's oceanside. The horse and wagon ride usually starts at the mango grove. Afterwards, travelers are given the chance to visit a religious site wherein a Hawaiian temple is found, the Iliiliopae heiau. For an afternoon snack, head to Kanemitsu's Bakery and Restaurant. This may look like an ordinary family-run establishment but once you've tasted their hot sweetbread, you and the kids will definitely crave for more. Another good idea is to visit the Big Wind Kite Factory to see how kites are made and fly one of your own. Learn kite-flying and kite-making techniques and let kids pilot their own kites. To let friends and folks back home know how much fun you're having, drop by at the Hoolehua Post Office and send a real coconut back home. For a family-friendly activity that won't require you to pay for an admission fee, head to the Dole Park, spread a blanket on the warm grass, and laze around to your heart's content while the kids play frisbee. Bring along your favorite book or a picnic basket filled with delicious but affordable lunch specials from Blue Ginger Cafe. Lanai's rich natural resources attracts plenty of visitors from around the world. Enjoy an underwater adventure by joining a snorkeling excursion with the kids. Top snorkeling spots in Lanai include Hulopoe Beach, wherein playful dolphins and graceful sea turtles thrive and swim around. Maui's Hawaii Nature Center should be included in your itinerary if you want you and your family to learn more about the island's unique geography and environment. The Iao Needle, a pinnacle made of rock, is a popular attraction found in this nature center. Plus, the kids will definitely enjoy walking through the rainforests along with a guide, which is another attraction that makes Hawaii Nature Center in Maui a favorite tourist destination. After enjoying Maui's landscape and wildlife, head to the Maui Ocean Center to see up close marine animals such as dolphins, sharks, manta rays, and green sea turtles. Boasting one of the nation's largest collections of living corals, the Maui Ocean Center offers a variety of activities that will keep kids occupied for hours. Before the day ends, treat yourself and your family with mouth-watering Hawaiian dishes at the Old Lahaina Luau, a traditional celebration that features plenty of succulent local dishes, cultural performances, and amazing craft presentations. The Old Lahaina Luau is certainly a more authentic option compared to commercial luaus offered at some hotels and resorts. Aside from the beaches, one other thing that Hawaii is known for are its volcanoes. And if you go to the Big Island, you can let your family experience several of these volcanoes by visiting the Hawaii Volcanoes National Park. Witness up close a live volcano gently spewing lava at the Hawaii Volcanoes National Park for an unforgettable yet educational experience. Bigger kids and teens can also go to the Onizuka Center's International Astronomy Visitor Information Center for some memorable and breathtaking stargazing while on top of one of the world's highest mountains. For a more cultural experience, bring the kids to the Lapakahi State Park wherein you can marvel at artifacts, displays, and ruins that tell the tale of the ancient Hawaiians. If you want to revisit the paths that were once walked on by ancient Hawaiian kings, go horseback riding at Waipio Valley. Sightseeing is also a popular activity in this valley because of its lush rainforests and dramatic sceneries that make Hawaii a real tropical paradise. For a bird's eye view of the entire Big Island of Hawaii, join a helicopter tour that will surely make you appreciate more Hawaii's unique landscape and environment. The ones mentioned above are just an overview of what family activities Hawaii can offer to its visitors. You can say that it's just a small sampling of what Hawaii can offer for you and your family. There are still a lot of natural parks, cultural centers, museums, and other places to discover in Hawaii. You can also find that hotels and resorts have their own programs for family activities, so you should also look up their offerings. After all, travelling is an adventure, so you can also explore Hawaii for other fun things to do for you and your kids. 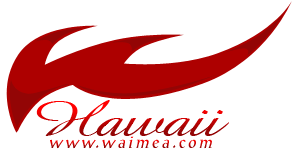 Having an itinerary is one good way of maximizing your time and budget when in Hawaii. To get the most out of your budget, look for family vacation packages and discount deals that include several activities and meals or snacks. 1. Bring lots of sunscreen. Because of Hawaii's tropical climate, you and the kids may be exposed to lots of sunshine. To avoid nasty sunburns, pack sunscreen and make sure to put on some before you hit the beach or join hiking trips. When visiting national parks that feature live volcanoes, make sure to put on some sunscreen too. 2. Don't forget the insect repellant. When planning to hike, make sure that your kids use insect repellant as some hiking areas may be teeming with insects and bugs. 3. Drink lots of liquids. To help you adjust to the tropical heat of Hawaii, make sure that the entire family drinks plenty of water during the entire trip. When going on a hiking trip, make sure to have enough supply of potable water. Hawaii's tropical fruits are sweet treats that can keep you energized and hydrated.